Vanitas Remnant B VIP Quests Pt. 2 & More! 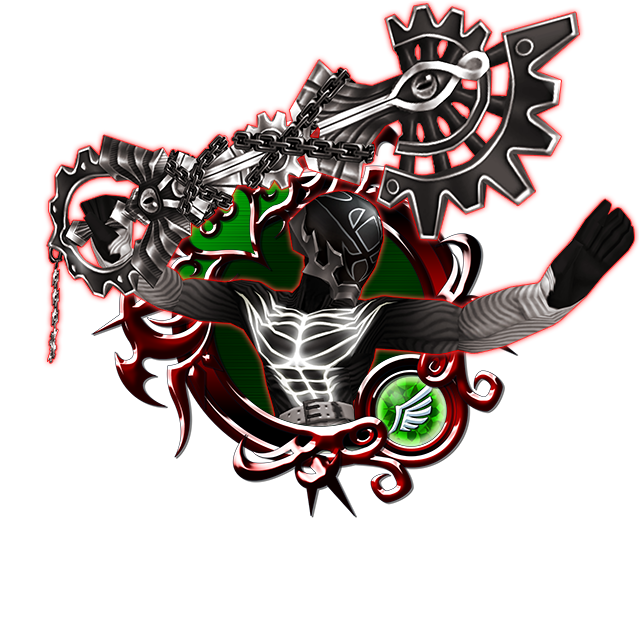 During the campaign period, receive a special set of limited-time VIP Quests with rewards including four Vanitas Remnant B Medals, one Trait Medal #50 (for use with Vanitas Remnant B), three Trait Medal #51 (for use with Prime - Neku & Joshua), and the bonus Lucifer Paws and Lucifer Mask Avatar Parts Quests! The Gold Ticket will be distributed on Oct. 29, 2018 at 2:00 a.m. (PT) / Oct. 29, 2018 at 9:00 (UTC). *Offer expires on Oct. 28, 2018 11:59 p.m. (PT) / Oct. 29, 2018 6:59 (UTC). ● VIP Vanitas Remnant B and 1400 Jewels, plus a Special Bonus! 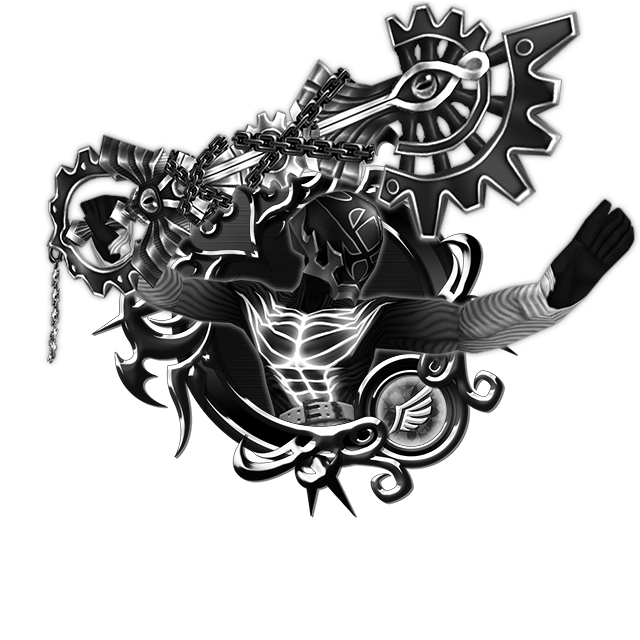 Complete Special Quests to obtain a total of four Vanitas Remnant B Medals, one Trait Medal #50, a special bonus of three Trait Medal #51, and 1400 Jewels! ・Prime - Neku & Joshua will gain a new trait. ・Prime - Neku & Joshua will gain one Special Attack Dot. 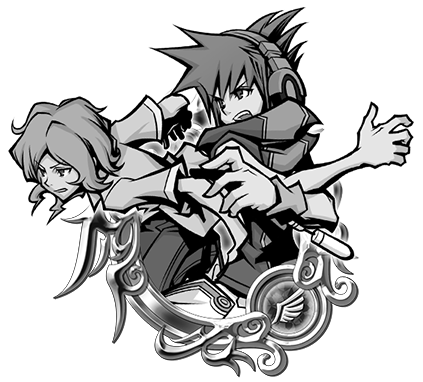 NOTE: If Prime - Neku & Joshua is already strengthened to 5 Special Attack Dots, the Trait Medal will unlock the Special Attack Bonus. Trait Medals can also re-roll Special Attack Bonuses if the Bonus is already unlocked. ● Special VIP Bonus Quests! Complete these quests to earn the Lucifer Paws and Lucifer Mask (Skill Perk +2) Avatar Parts! Even More NEW Halloween Avatar Boards! ★ Even more new Halloween Avatar Boards are here!! 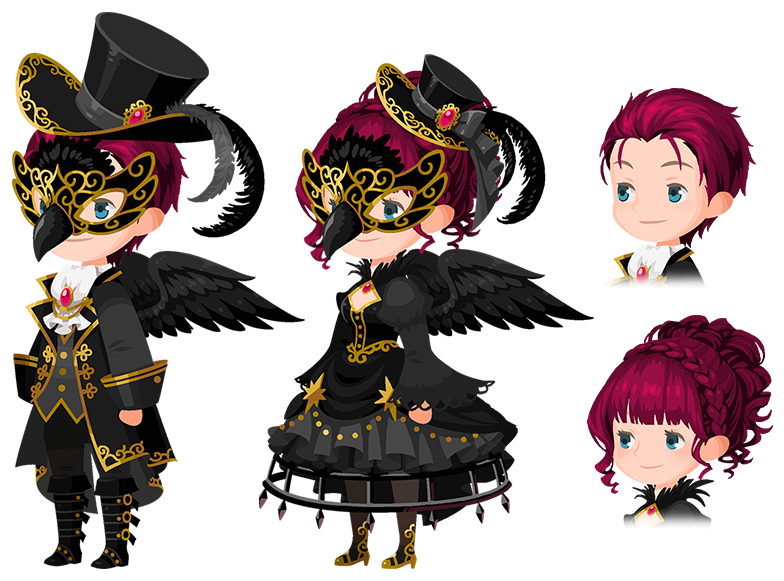 Don't miss out on the Halloween Crow and Halloween Doctor/Nurse Avatar Boards! 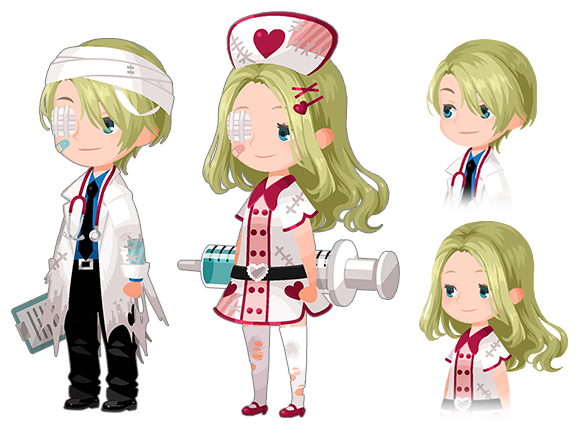 New Halloween Crow and Halloween Doctor/Nurse Avatar Boards have arrived just in time for the Halloween Festivities for 2500 Jewels apiece! Obtain even more Event Coins by defeating enemies and completing quest objectives! ・Face numerous enemies and gain a multitude of Event Coins for your efforts! ・There will be a total of 3 stages with varying degrees of difficulty! ・You can collect Event Coins both by completing objectives and as drops from enemies! Defeat the Fortress Crab Ω Raid Boss with your party members to earn Raid Coins, which you can use to get fabulous rewards, including Magic Broom, Magic Mirror, Chip, and Dale Medals ! The Raid Board for this Raid Event will be available until Nov. 1, 2018 11:59 a.m. (PT) / Nov. 1, 2018 18:59 (UTC). Upon successful defeat of the Fortress Crab Ω, the raid boss level will increase by 1. NOTE: When the Fortress Crab Ω appears, you will not be able to proceed in the latest main quest. On Saturday and Sunday, the Raid Boss will be available all day, until the event ends on Oct. 31, 2018 11:59 p.m. (PT) / Nov. 1, 2018 6:59 (UTC)! ★ The Halloween Scenario Quest is here! We are excited to announce a special Halloween Quest and chance to obtain 1000 Jewels! ・A total of 10 new quests awaits you! ・Completing all objectives in each quest rewards players with 1000 Jewels! You can also view the scenario here. 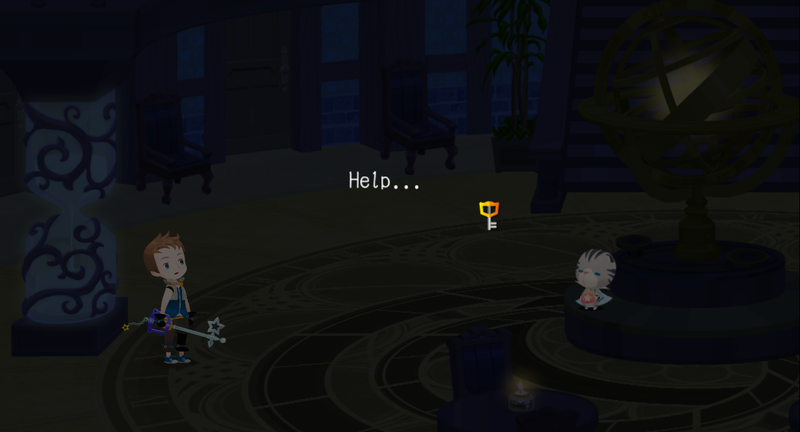 Those minor keyblade wielders are the most developed characters in this game and they still don't have names. "Help! I'm trapped here! Help me!" Can I... can I just pretend Union X ends here? It's the best KH ending I've ever seen.